Modi, his uncle Mehul Choksi and others are accused in a Rs 14,000 crore fraud at state-owned Punjab National Bank (PNB). 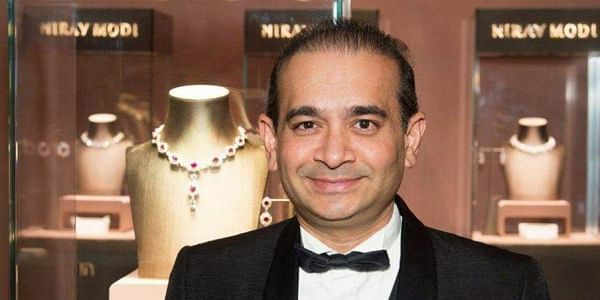 NEW DELHI: The Income Tax department has slapped three notices under the foreign black money law against diamond trader Nirav Modi, involved in Rs 14,000 crore PNB fraud case, for allegedly holding illegal assets abroad. "Three notices u/s 10(1) of the Black Money (Undisclosed Foreign Income and Assets) and Imposition of Tax Act, 2015, issued against Nirav Modi," the Revenue Department said in an action taken report to the Standing Committee on Finance. An arrest warrant have been issued against Modi. "Supplementary prosecution complaint filed against 31 persons/individuals/entities u/d 276C(1), 227A and 278 of the Income Tax Act," it added. Besides, the Income Tax department has attached 32 immovable properties located in various cities, including Mumbai, Surat, Jaipur and Delhi. Also 141 bank accounts/ FDs of the Nirav Modi Group having a credit balance of Rs 145.74 crore have been attached. The department has also attached 173 paintings and artworks and filed four prosecution cases against Modi. "Look Out notice/Blue Corner Notice has been opened against Nirav Modi by Bureau of Immigration on February 22, 2018, after request from I-T department. It is valid till February 21, 2019," the revenue department said. With regard to Choksi, the promoter of the Gitanjali Group of companies, the Revenue Department said "Look Out Notice/ Blue Corner Notice (has been) opened against Mehul Choksi and the same is valid till February 21, 2019". As many as 7 immovable properties in Mumbai belonging to Gitanjali Group have been attached u/s 281B of the I-T Act. Also land and building and fixed assets valued at Rs 1,278 crore of a group subsidiary have been provisionally attached. Also 244 banks accounts/FDs having a total credit balance of Rs 101.78 crore have been attached. In case of the money laundering probe against Kanpur-based Rotomac group in an alleged bank loan fraud of Rs 3,695 crore, the Revenue Department said four immovable properties and 29 bank accounts have been attached by the I-T authorities. "Six prosecutions have been initiated against Vikram Kothari, main person of the Rotomac Group. Further 18 prosecutions have been launched against M/s Rotomac Global (P) Ltd," the Revenue Department said.